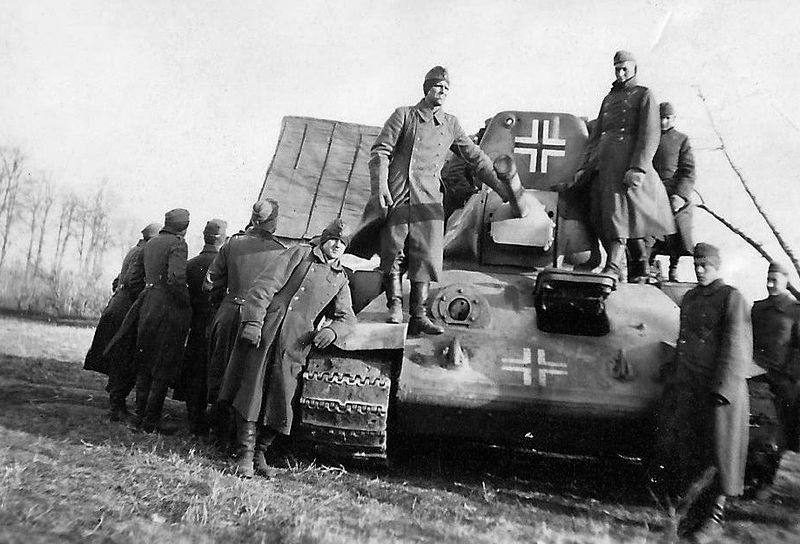 Germans modified T-34 tanks possibly these tanks use in counter-partisan action. 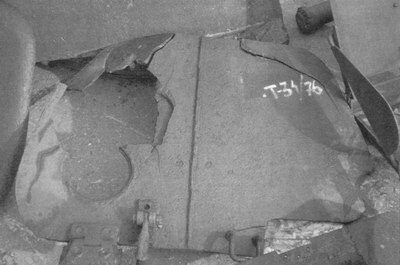 Note additional boxe on the hull side. 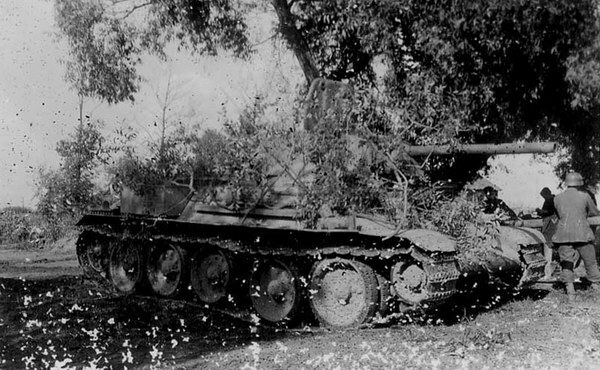 Germans modified T-34 tanks possibly these tanks use in counter-partisan action. 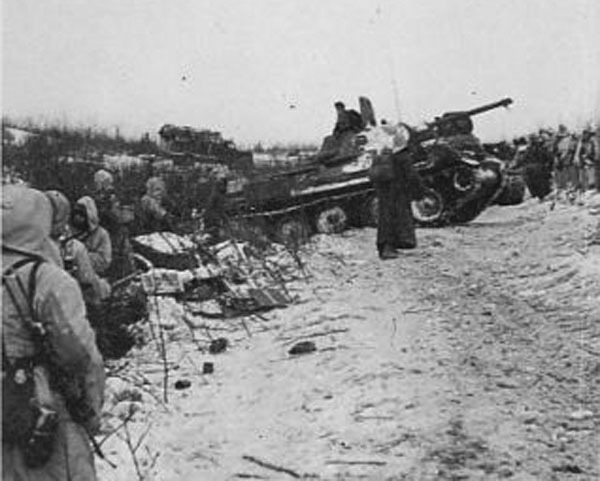 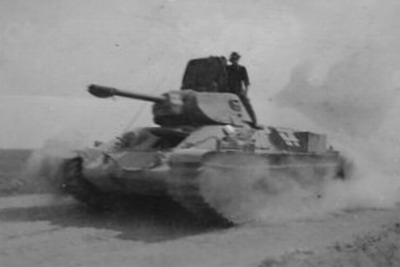 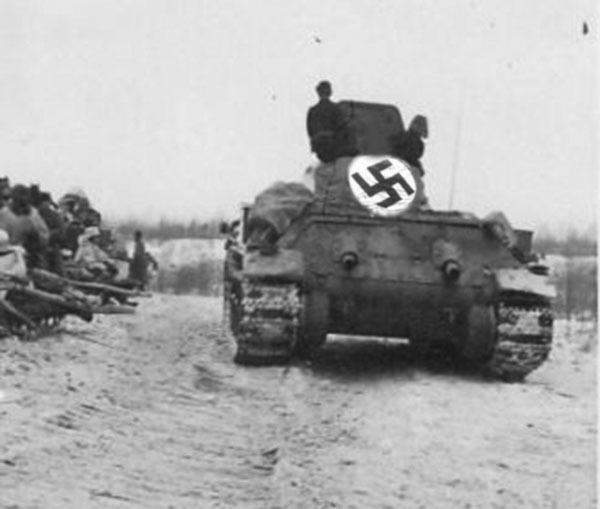 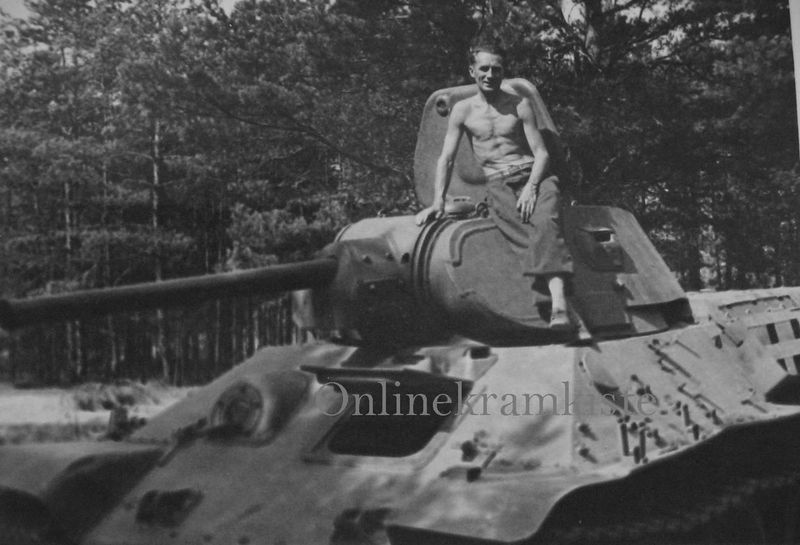 Possibly this tank was modified on the Riga repair plant. 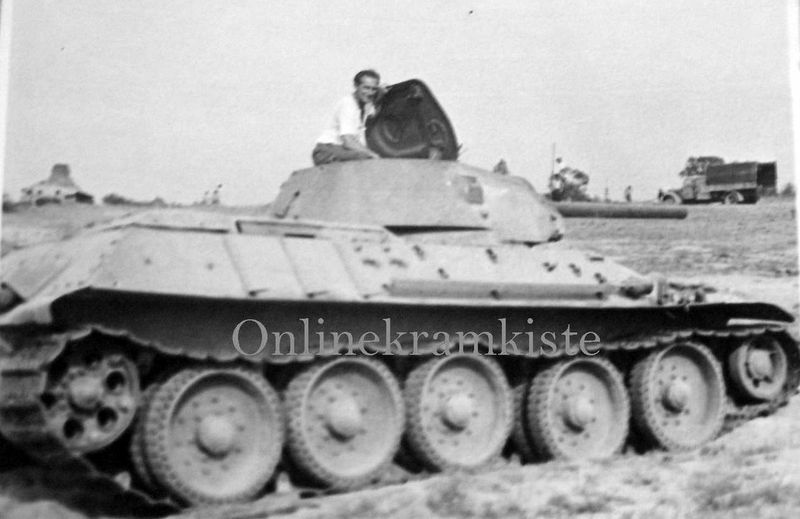 Note additional boxes on the hull sides and rear light wiring. 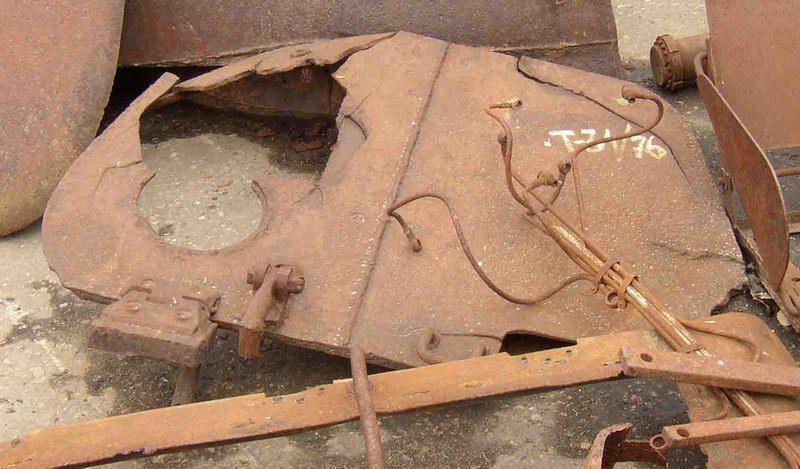 Probably germans modified T-34 turret hatch with hinge from PzIII.